Individual physical therapy providers who participate in Medicaid located in Berkeley, Chesterfield, Clarendon, Darlington, Dillon, Florence, Georgetown, Horry, Kershaw, Lancaster, Lee, Marion, Marlboro, Sumter and Williamsburg counties are in Group 3 and require a site visit. As well as the following: Georgia within Medicaid Service Area, Georgia outside Medicaid Service Area, North Carolina within Medicaid Service Area, North Carolina outside Medicaid Service Area and out of state providers. Please note that these will include a site visit. If you are a participating Medicaid provider in these counties, please make sure that you are looking for your re-validation request, and make sure that you complete by the deadline. DO NOT re-validate until you receive your request. If you have never had a site visit, you will want to take a look at those requirements before the Medicaid team shows up in your clinics. If you have questions, please call the Medicaid Provider Service Center at 888-289-0709, Option 4. Section on Pediatrics Annual Conference (SoPAC) will be held Nov. 6–8, 2015, at the Wyndham Grand Hotel in Pittsburgh, Pennsylvania. 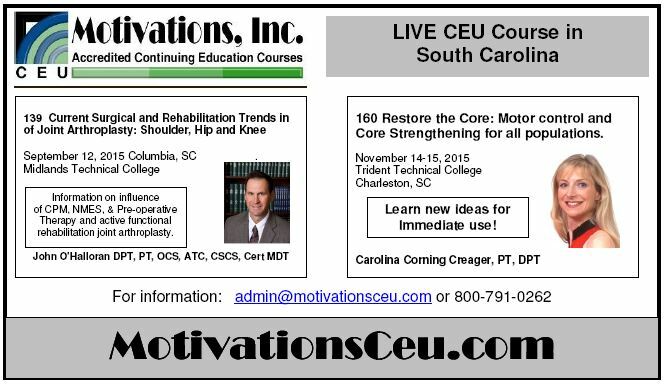 Four pre-conference courses will be held November 4-5. The 2015 SoPAC theme is: "Convergence of Knowledge and Research into Practice." SoPAC includes 18 hours of all-pediatric programming with concurrent sessions from all pediatric practice areas. The SoPAC Schedule-At-A-Glance and registration information can be accessed at www.sopac.us.